Cook the noodles according to the instructions on the packet, drain, rinse in cold water. Hard boil the eggs for 7 mins., rinse in cold water. Stir mirin, soy sauce and sugar in a small pan, bring to the boil, simmer for 2-3 mins., leave to cool. Cut spring onions into approx. 4 cm. long pieces, then cut into fine strips, place into a bowl of cold water until they begin to curl. Heat the sesame oil in a frying pan, sauté the asparagus, add 2 tbsp. of sauce, bring to the boil. 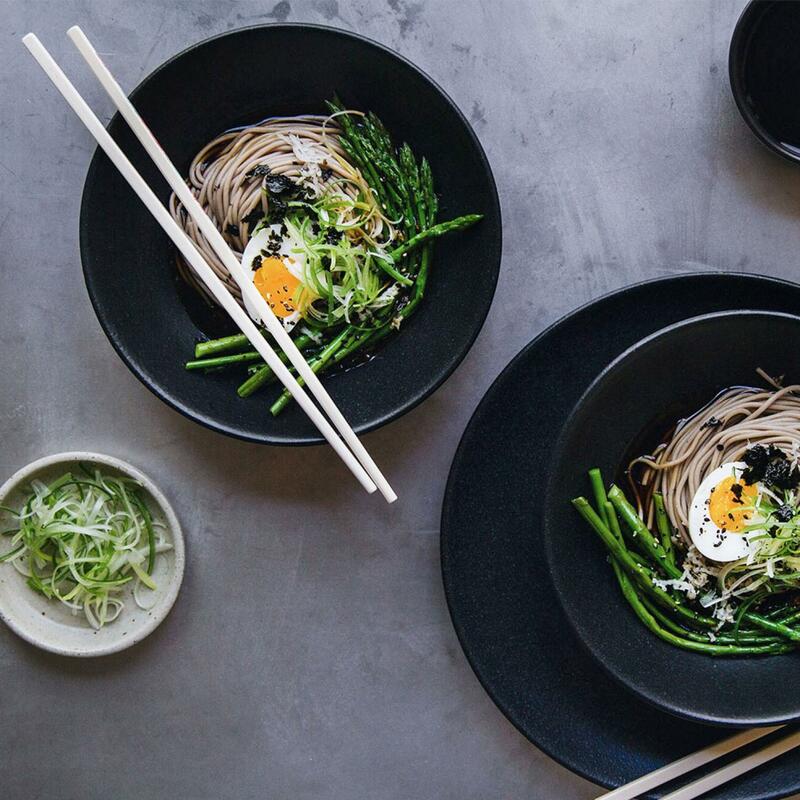 Distribute the noodles and asparagus into 4 bowls. Drain the spring onions, place on the noodles. Peel the eggs, halve them and add two halves to each bowl. Crumble the nori leaves, sprinkle over the bowls with sesame. Serve the remainder of the sauce as a dip. The sauce can be kept covered in the fridge for several weeks. Dilute with water if it becomes too thick.